Getting acquainted with a new author is exciting and scary... With the risk of sounding dramatic, somehow there's a part of me that secretly roots for the newbie (at least in my eyes) as I dive into the pages of his story because I want so bad to like and enjoy it... but at the same time, I am not as patient and forgiving because after about 10 pages, if the voice just doesn't resonate with me, I will put it down then try my luck with another book, lol! 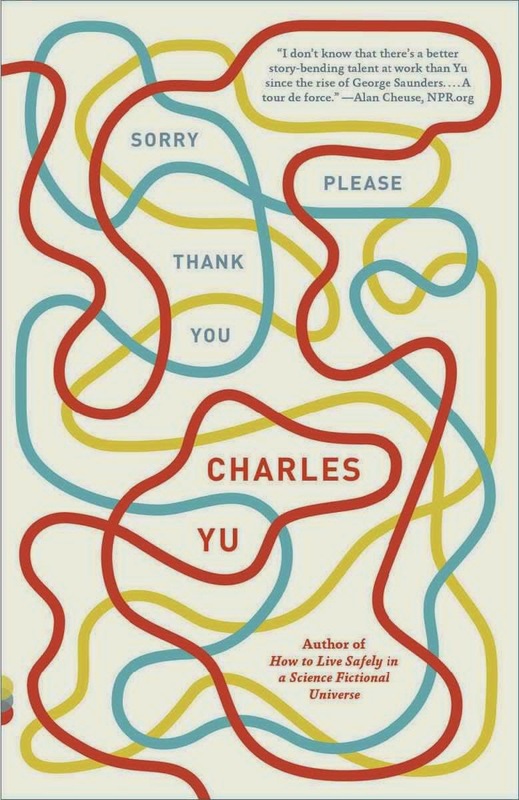 So sipping an overpriced drink at the airport a month ago, I sat myself with a copy of Charles Yu's book, Sorry Please Thank You. By the end of his first story, I was half applauding and half surprised to find a realist in his sci-fi loving persona: My bookie self was undoubtedly impressed and excited to be drowned in his compilation of short stories days after. Maybe it was because I was a little bit cynical to begin with because comments at the back of the book was praising Yu's skills in his sci-fi themed works, and I am not a major fan of sci-fan anything. Whoops. I am now receiving virtual dagger looks from all ye lovers of sci-fis out there. #pleasedonthuntmedown. ... But wait! Before you hate me just yet, I've come to realize that there's something so comforting and refreshing about being transported in a different place and time. What's even more refreshing is the fact that Yu never loses his humanity in all of it: emotions, desires, feelings, will and everything that make a person a being are all there -- battling and debating with what science and technology offer.